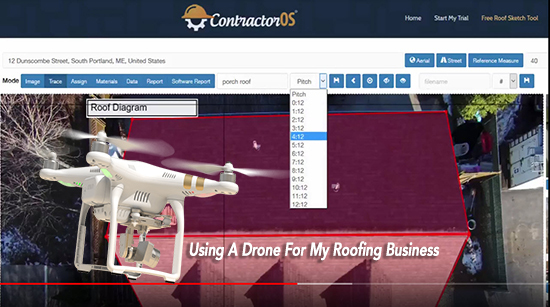 If you’re ready to start using a drone for your roofing business then this article will give you some great information about using your drone with your roofing business and Contractor OS gives you a free piece of software that you can use to create beautiful PDF reports showing the roof sketches, and also calculations. What is the best drone for taking photos of a roof? Typically the old fashion way when you’re measuring a roof you have to get up onto the roof and measure the rafter to get the lenght and then the width of the home to get the square footage of that roof section. But when you use the drone you can go up at about 100′ to 200′ feet above the home and take a series of photos, and then upload them to our roof sketch software so you can begin the calculation of the square footage. There is a few different drones available starting from entry-level drones which produce a beautiful image and then there are a couple more drones that our advanced and then there is the pro version. Any one of these drone aircraft will be perfect for any roofing business. How are the photos transferred from the drone to the iPad or computer? The drones have a built-in microchip Reader so you can take it out and import it into your computer. Also you can connect the drone to your computer and download the images that way, you can also upload directly from the drone to your iPad or phone and then you have those available for your roofing business. Investing in a drone for your roofing business will probably be one of the best and find ways to capture video and images to use for your roofing business. It’s a lot of fun to go out to the job site and take photos of the home, and take photos of work in progress. 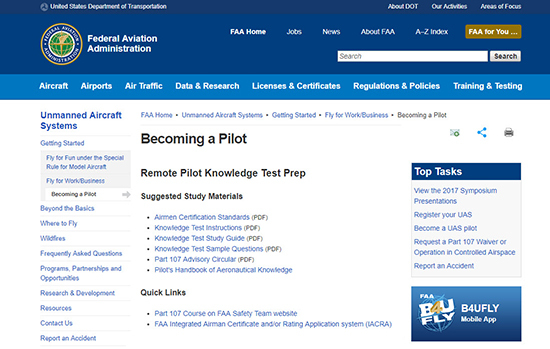 You will have to go and get your remote pilot certificate, it is part 107 and there’s a course available free on the FAA website. I will include a link down below so you can click through and get more information. When using a drone for your roofing business you will need to have the Remote pilot certificate before you can use any of the video or images for your roofing business.